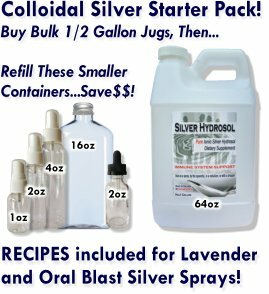 Your Lavender Silver Hydrosol Works!! Got rid of smoke smell! Sprayed our hotel room with Lavender Silver Hydrosol and I'm amazed at how much better it smells!! My poor daughter took me on this trip as a gift. They gave away our room facing the bay which she specifically reserved. Then there were things wrong with the room they gave us. It also smelled musty....then the smoke alarm went off after we DID smell smoke. Haha Its been a funny nightmare of sorts.....BUT....your spray did get rid of the smells!